Adept was one of the first companies to extend the design of timber construction above four storeys and actively encourages the development of structural timber as the ideal material for medium rise buildings. We now regularly design apartment buildings of up to seven stories. Adept regularly works with developers, timber frame manufacturers and architects to provide structural calculations and designs for apartment buildings. 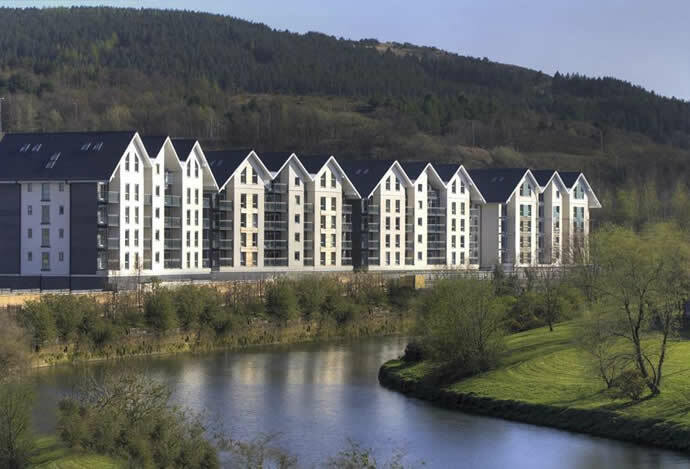 The TF2000 research project on a full size six storey timber frame block of flats demonstrated that timber frame is a robust and efficient method of constructing medium rise buildings.